Heidi W. Durrow is the New York Times best-selling author of The Girl Who Fell From the Sky (Algonquin Books), which received writer Barbara Kingsolver’s PEN/Bellwether Prize for Socially Engaged Fiction, and is a book club favorite. 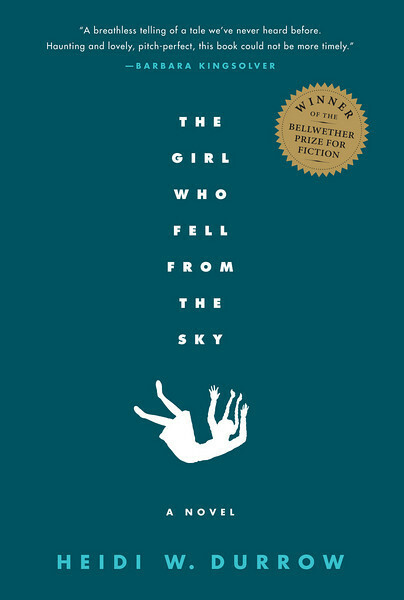 The Girl Who Fell From the Sky has been hailed as one of the Best Novels of 2010 by the Washington Post, a Top 10 Book of 2010 by The Oregonian, and named a Top 10 Debut of 2010 by Booklist. Ebony Magazine named Heidi as one of its Power 100 Leaders of 2010 along with writers Edwidge Danticat and Malcolm Gladwell. Heidi was nominated for an 2011 NAACP Image Award for Outstanding Literary Debut. Heidi is a graduate of Stanford, Columbia’s Graduate School of Journalism and Yale Law School. Originally from the Pacific Northwest, Heidi has worked as a corporate attorney at Cravath, Swaine & Moore, and as a Life Skills trainer to professional athletes of the National Football League and National Basketball Association. She was the founder and producer of the now defunct Mixed Roots Film & Literary Festival, but now heads the Mixed Remixed Festival, an annual free public event, that celebrates stories of the Mixed race and multiracial experience through films, books and performance. She is an award-winning podcaster and currently the host of a new audio and video podcast called The Mixed Experience. Heidi is also a highly acclaimed and sought-after public speaker who has spoken at Brown, Exeter, Yale Law School and many other universities nationwide. She has also been a featured speaker at Sundance and other popular festivals, conferences and high schools on creativity, women’s empowerment, and multicultural and multiracial issues. She has been featured as a leading expert on multiracial and multicultural issues and identity by the NBC Nightly News,the New York Times, CNN, National Public Radio, the BBC, Ebony Magazine and the San Francisco Chronicle. She is an occasional contributor to National Public Radio and blogs for the Huffington Post. Heidi W. Durrow is available for speaking engagements and is widely considered an expert on issues about mixed-race and multiracial identity and experience as well as writing. Author Photo (high-res). Download here. Paperback Book Cover (high-res). Download here. Hardcover Book Cover (high-res). Download here. Gallery of photos for press or publicity purposes including childhood, family, and book tour photos and video. Please click here. 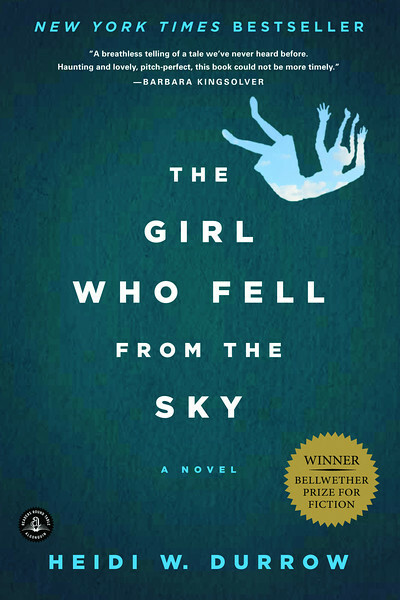 Book Trailer for The Girl Who Fell From the Sky on YouTube. Speaking Engagement Information. Download here. Brochure front. Brochure back. Become a fan on Facebook and receive information about upcoming readings and appearances. I would love to talk with your book club. Email me to set up a Skype call.